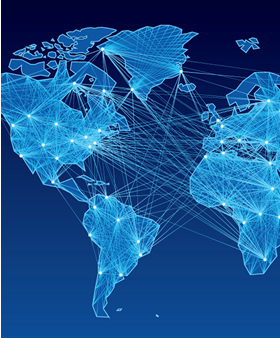 The Regional Observatory on Internationalization and Networks in Tertiary Education (OBIRET) is a virtual information system and a space for reflection, study, debate and training coordinated by UNESCO-IESALC. Its general objective is to systematically analyze characteristics and trends of the process of internationalization of tertiary education in Latin America and the Caribbean (LAC), in addition to serve as a tool for the planning, implementation and evaluation of internationalization strategies and programs, as well as for the design and projection of related public policies throughout the region. Through OBIRET, UNESCO-IESALC plays its role of articulator between tertiary education sector and different stakeholders of society, in accordance with UNESCO General and Regional Conferences on Higher Education. OBIRET operates with the support of the Universidad de Guadalajara and the Benemérita Universidad Autónoma de Puebla, Mexico, and began its activities in February, 2015. Dra. Jocelyne Gacel-Ávila, Professor-Researcher and Director of Division for Social Sciences and Humanities at the University of Guadalajara, is in charge of the General Coordination of the Observatory.